1 Custom-built stands to keep manuscripts’ pages wide open facilitating the photo acquisition process. Fig. 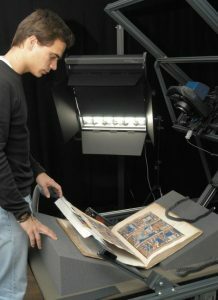 1 Custom-built stands to keep manuscripts’ pages wide open facilitating the photo acquisition process.